The proud Wiganer has been weaned on the derby rivalry. 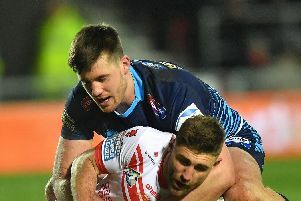 And having faced Saints on the big-stage once already - during the Super-8s last year - he is keen to experience a Good Friday derby. 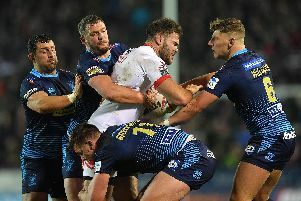 The prop said: "It's the biggest derby in rugby league. I've hated Saints since I've started playing and I always will do - it's a respectful hatred! "We don't like Warrington but Saints is another level. You have to beat Saints, that's the mentality." Even as an Orrell St James junior, he experienced it with their matches against Thatto Heath. "Thatto they were always better than us and I hated it," he added. Partington has been included in Lam's 19-man squad.